Allwell Solutions build content based requirements of materials into customized solutions. Our team can help you design, develop and deliver effective computer-based training solutions. Our team consists of highly skilled instructional design specialists, content developers and creative artists. Our test engineers ensure the quality of the material. We are focusing on improving the quality of your outputs and reducing cost of delivery. Allwell Solutions produce in accordance with your prescribed standards and specifications. We consist of highly skilled instructional systems design specialists, content developers and creative artists. Test engineers ensure the quality of the material. We are focusing on improving the quality of your outputs and reducing cost of delivery. Allwell specializes in developing custom eLearning solutions based on modern instructional design and visual design principles to create an impactful learning experience. Our Instructional/Visual Designers use interactive elements such as animations, stories, scenarios, gamification, themes, and interactions to keep learners engaged and involved. With over 7,000+ hours of custom eLearning development, Allwell is the learning partner you are looking for. We work closely with our Clients to identify the most appropriate learning solutions aligned to their specific business goals, timelines and budget. Allwell Solutions understand that sometimes you need quick learning solutions for your rapidly evolving businesses with accelerate your eLearning. To expedite the course development process, we follow a rapid development approach complying with your timelines. 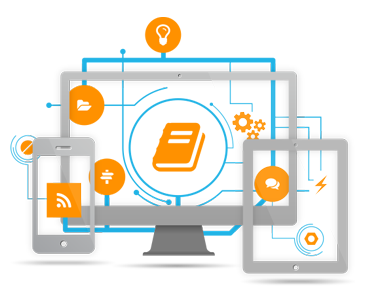 In this approach, we utilise the oustanding expertise of our learning designers who are well versed with a wide range of rapid authoring tools. With these tools in place, eLearning content is developed in a matter of weeks, perhaps even days. Our mobile learning or mLearning services help organizations translate learning into performance improvement. And this is possible through our just-in-time delivery of multi-device learning solutions. With emerging mobile technologies and growing adoption of mobile devices in the workplace it has become imperative to offer learning solutions on-the-go. Blended learning is ideal when part of the training requires physical interaction and other parts can be done via eLearning mode as per the learner’s schedule. When a single learning delivery model doesn’t serve your learning needs, Allwell brings a blend of delivery models that fit your learning culture. We blend both instructional-led training and eLearning modules to create a cohesive learning experience. Open Source LMS is a quick and cost-effective solution and can be highly customised to meet your training requirements. We are specialists in providing open source Learning Management System (LMS) for all your online training and development needs. Moodle, the most widely used open source LMS, enables a seamless learning environment, when tailored, to address your specific learning needs. Authoring tools: MS Word, Power point, Macromedia, Dream Weaver, Flash, Director, XML Spy. Database development: Oracle, MS access, MS SQL, SQL server. Graphics tools: Photoshop, Macromedia Flash, Illustrator, Sound Forge, Sony Vega.